For this week’s Discover LA series, we visit an iconic LA landmark: Randy’s Donuts. Mmmm, donuts. No one has to twist my arm when donuts are on the table. Any day, any time, any where, any flavor… I’m in. We are pretty spoiled in Los Angeles with the amount of quality donut shops. But there is none quite like Randy’s Donuts. Randy’s Donuts is world famous. 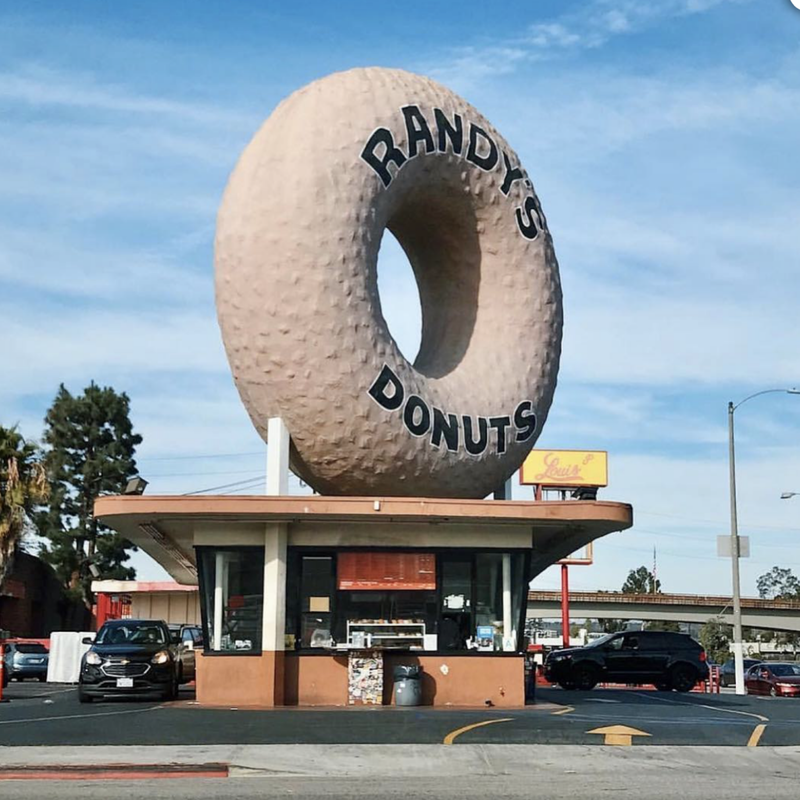 The massive rooftop donut makes this establishment not only an iconic LA landmark, but also the most recognized donut shop in the world. It has been featured in major motion pictures (did anyone notice it in Iron Man? ), countless television shows, and music videos. But Randy’s Donuts is not just an aesthetic icon. 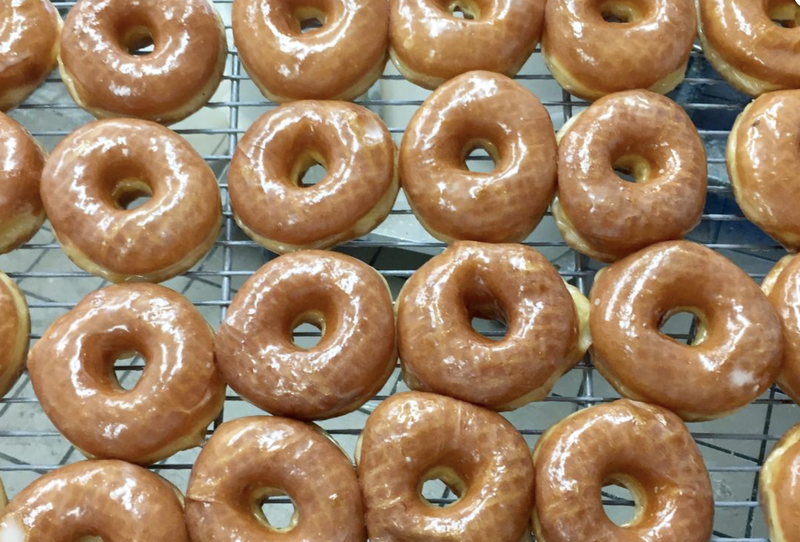 It has been named one of the top donut shops in the country for the past 60 years, and has been the most reviewed (and highest rated) donut shop on Yelp and other review sites. If you haven’t been to the shop located at 805 West Manchester Blvd in Inglewood California, you are missing out! The donuts are made by hand every morning using secret recipes and the finest ingredients. Their “expert bakers” pride themselves in making a fluffier, airier, larger donut with more freshness than its competitors. Currently, Randy’s Donuts has 59 (59!) different donuts available on their menu. Of course, they have the classics like old fashioned, glazed, and maple bars. But they also offer speciality, delicious concoctions such as red velvet, fruity pebbles, Oreo, matcha tea, bacon maple, and chocolate crondy (which is a mix between a croissant and donut). My mouth is literally watering as I type this. So if you haven’t been to Randy’s Donuts yet, get yourself over there ASAP. If you can’t make it out to Inglewood, there are other locations in Century City, El Segundo, and Hollywood. Have you been to Randy’s Donuts? Let us know what you love most about it!